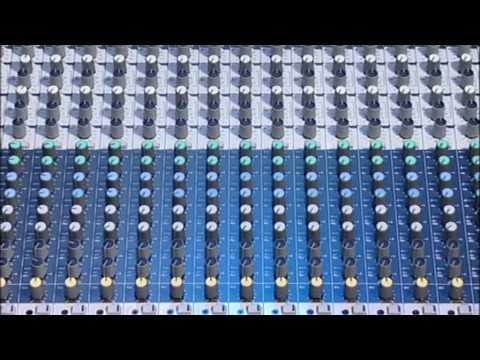 2 independently configurable Aux busses. The EPM is adaptable to any desired situation thanks to switchable Pre or post auxes. This allows for greater flexibility for monitor sends and post fade applications. 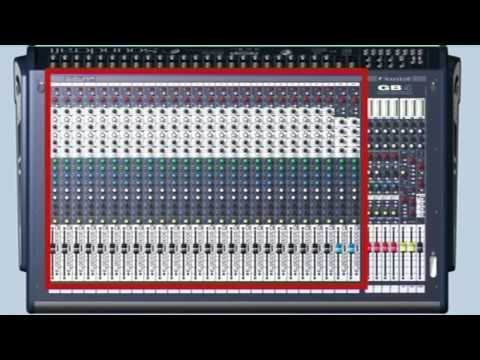 3 band EQ with a sweepable mid allows for maximum contortion of the sound. 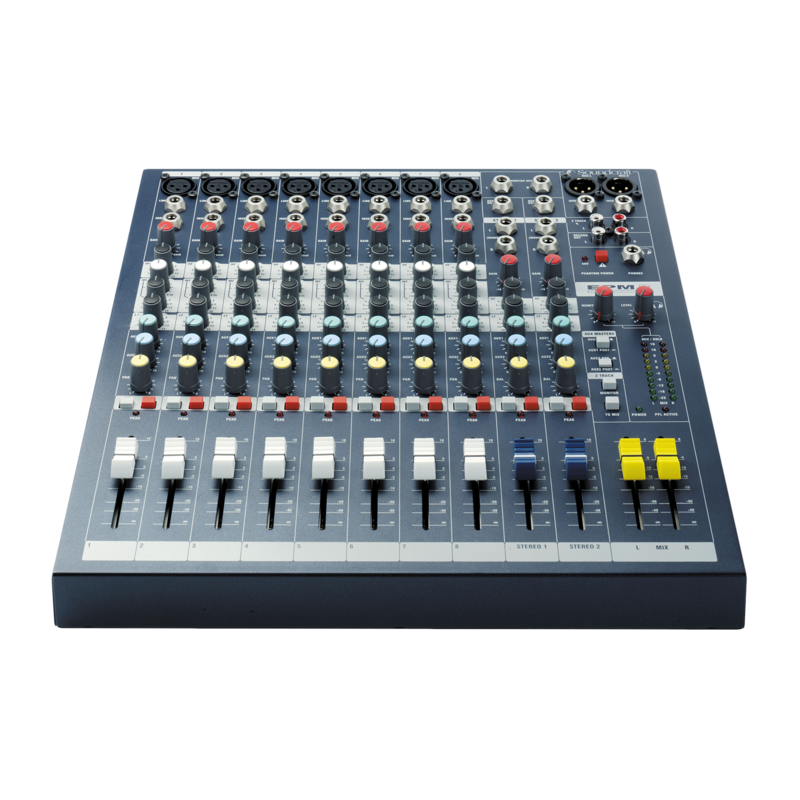 The signature Soundcraft sound is included. Tough and rugged construction suitable for touring. Road ready construction means superior reliability and performance day in day out. 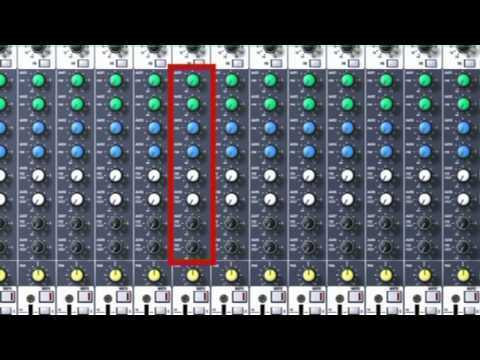 Independent mute switches per channel. Sometimes, silence is important. We made this easy with the inclusion of a mute switch on every channel. Inserts on the main output bus. 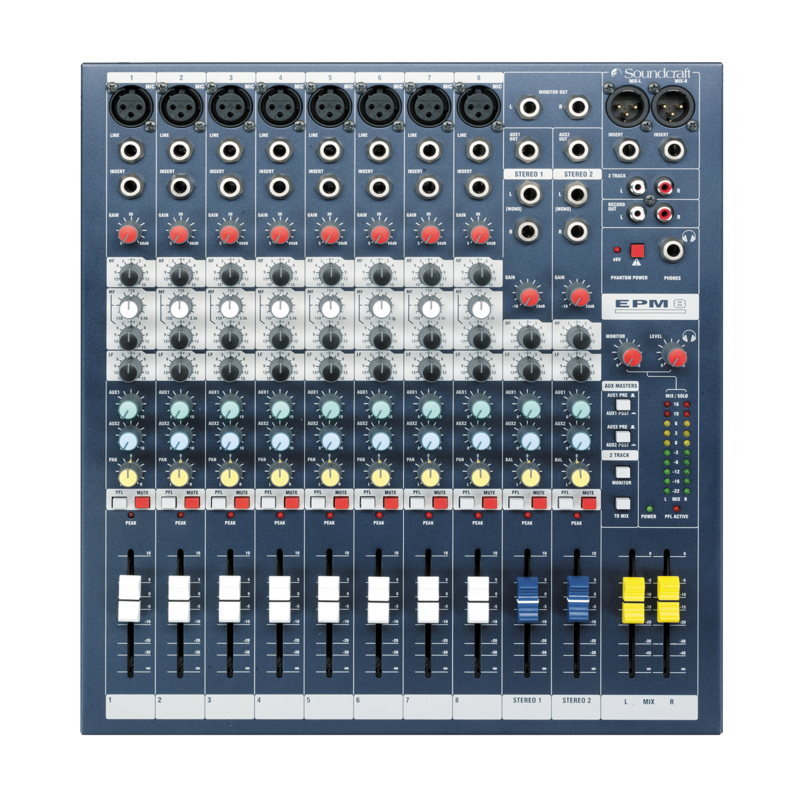 Easy connectivity to outboard processors such as graphics and compressors allows finesse tweaking to the mix before the master faders, keeping you in control. 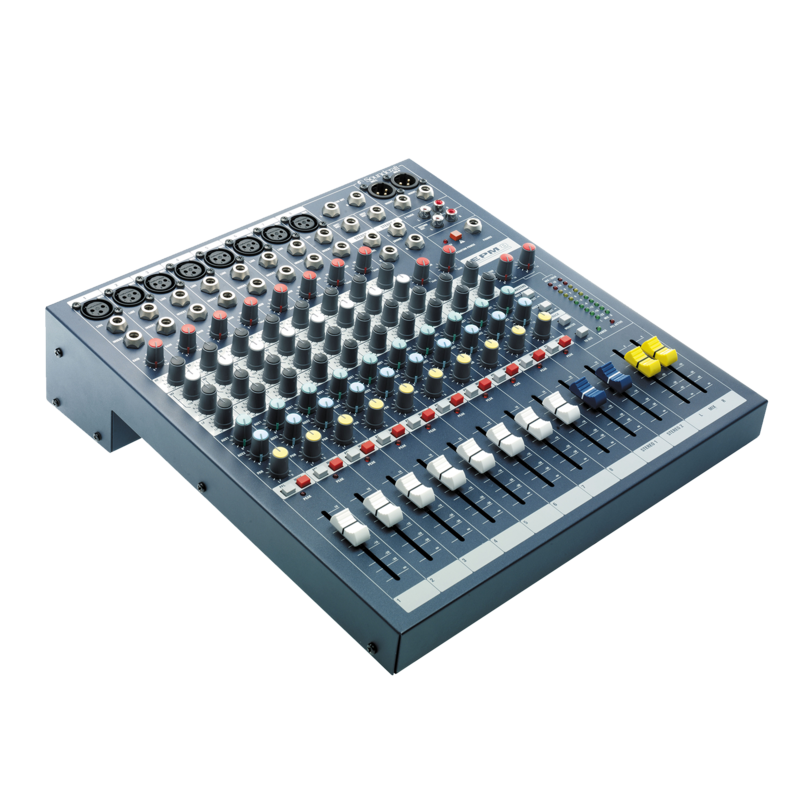 The emphasis with the Soundcraft EPM is very firmly on quality build and audio performance, with an easy to understand control surface uncluttered by unnecessary facilities, and Soundcraft have brought new technologies and ideas to this very cost-effective range. Surface mount technology is used throughout, using close-tolerance components for high accuracy and repeatable settings for EQ and gain controls. The highly-transparent GB30 Mic amp (designed by Graham Blyth for the company’s 30th anniversary, and also used on the larger LX7ii and GB Series consoles) features high-resolution adjustment over a wide gain range of 55dB, and provides a stunning +22dB headroom through the console. True professional 48-volt phantom power caters for condenser microphones of all types. The EPM 8 features 8 mono mic inputs, 2 configurable auxiliary buses, RCA phono stereo playback inputs and record outputs, 3-band EQ with a swept mid on mono inputs, and TRS insert sockets and inserts on all mono inputs and mix output.